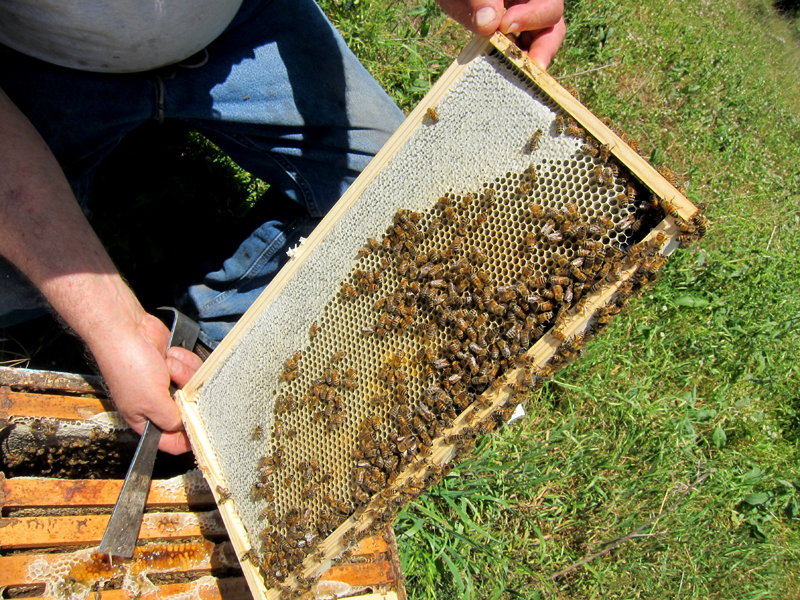 The queen cells that were placed in the hives on March 30th were checked to determine the acceptance and mating success. 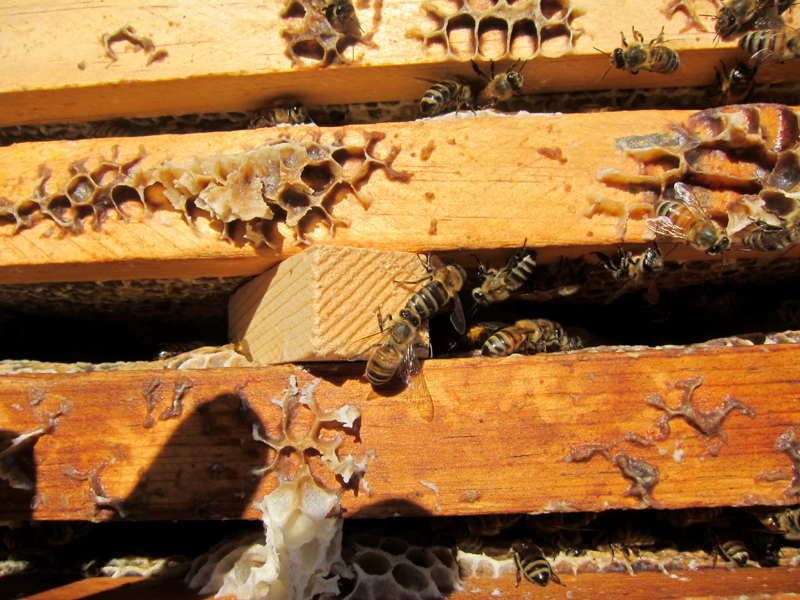 The queen mating nucs we used were to produce mated queens to be used for "make-back" of the failed queens. 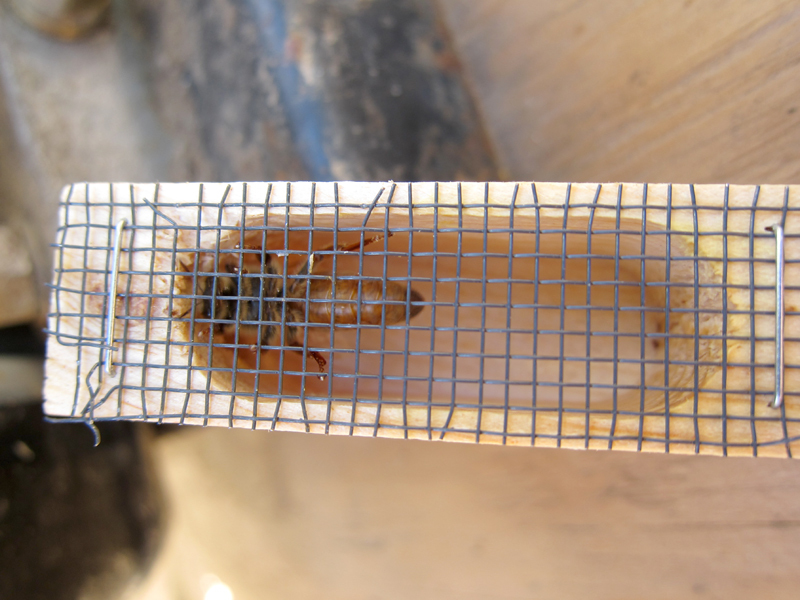 The queen cells that we started with were ready to hatch the next day, and with the virgin queen going out on a mating flight between 6 and 10 days after hatching. The virgin queen will mate with 12 to 15 drones (male bees) and then return to the hive, she only has to make one mating flight in her life. Upon returning to the hive, the newly mated queen will start laying eggs within a couple of days. The beekeeper will typically wait for 21 to 26 days after the introduction of the queen cell to do the "check-back" when it will be easy to determine the quality of the new queen by inspecting the sealed brood, eggs and larve. 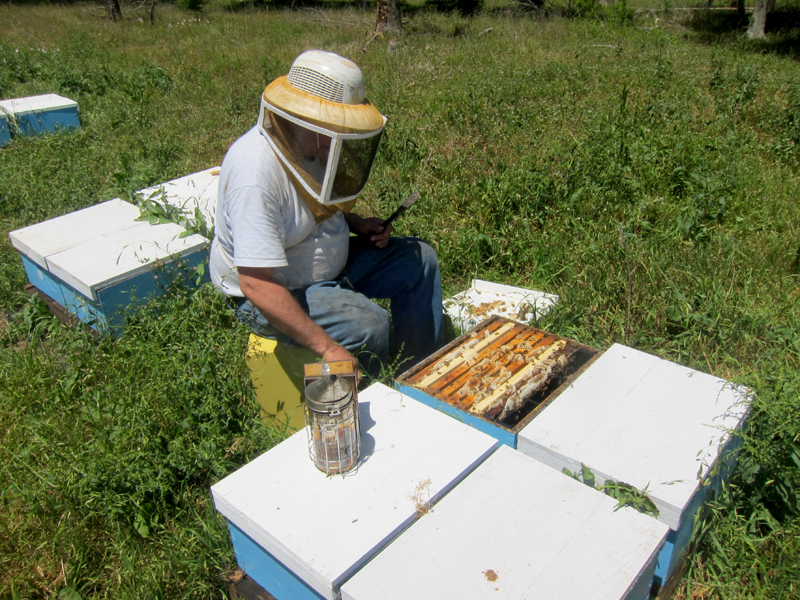 The queens that didn't take, the beekeeper will make-back the hive by putting a frame or two of sealed brood in to the hive along with a caged one queen from the queen nucs. 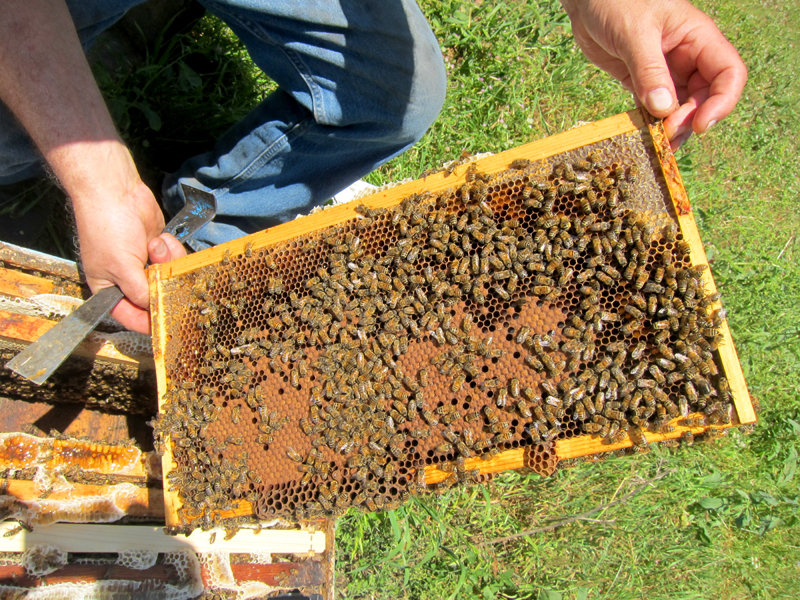 The hives will need to be checked again in a couple of weeks to see that these new queens were accepted and laying. 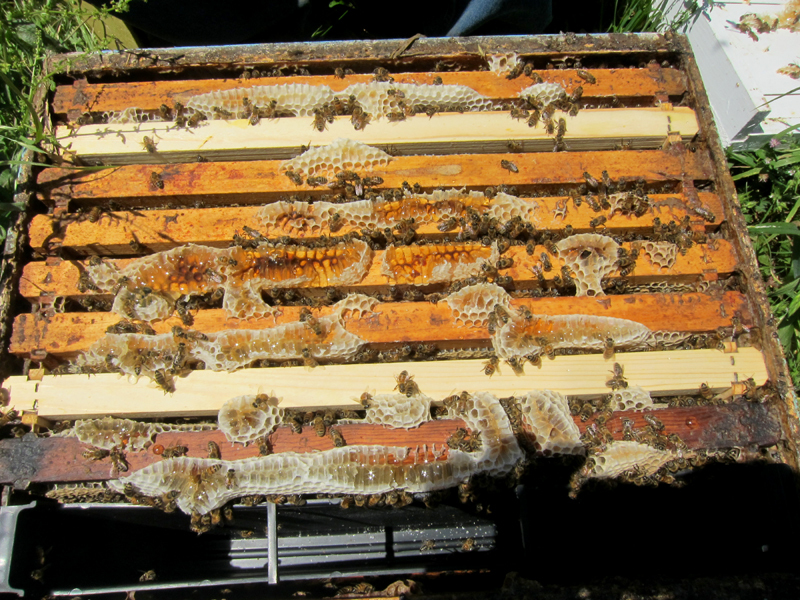 We had placed two frames of foundation into each nuc, which was drawn out by the bees during the honey flow. The honey which will provide the hives with plenty of stores until they come back to Minnesota for the dandelion honey flow.